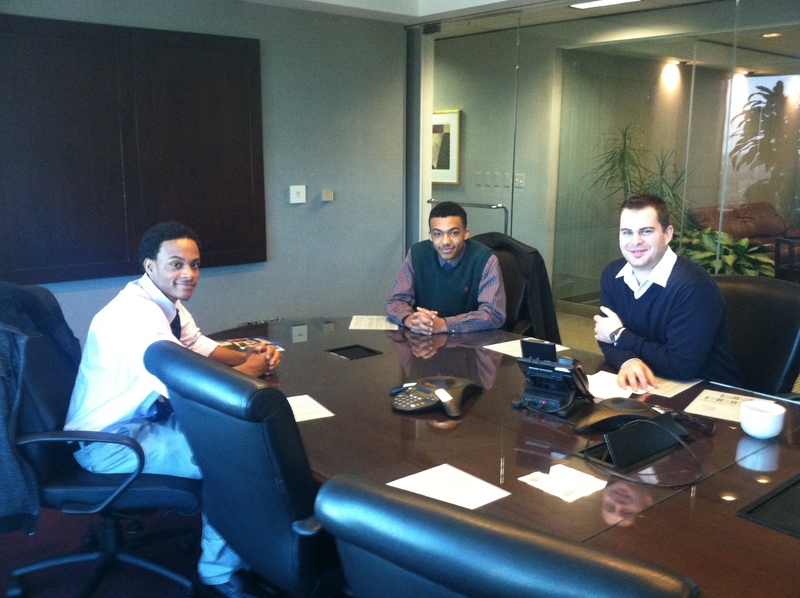 Brooks Kushman Marketing Director Ryan Pasquali, and the two SPS students he mentored at the Job Shadowing Event. Over 15 companies located in the Town Center dedicated their time to mentoring the students. Microsoft, Unum, CBRE, Warren Strategies and Japan Business Society were among the participants. 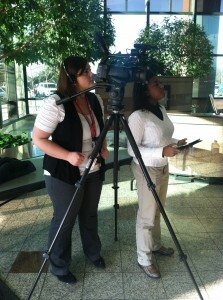 Students were respectively paired with the businesses that fit their career interests. 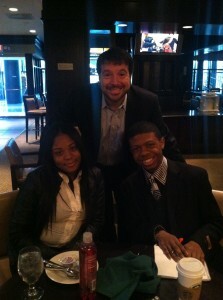 Brooks Kushman Marketing Director Ryan Pasquali said the event was a great experience for the students. “I would like for these students to recognize that hard work and determination can pay off and continue success,” he noted. 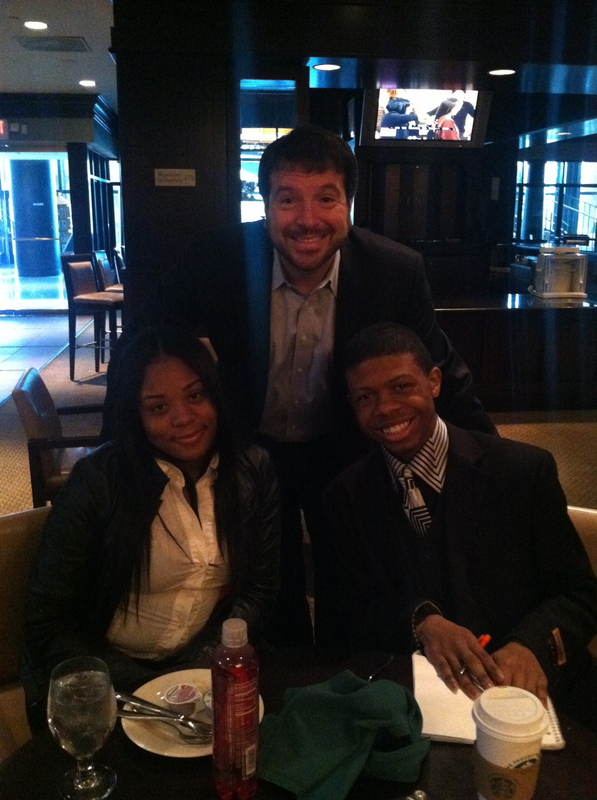 Michael Weinstein, Senior Sales Director at CoStar Group, and the two Southfield Public Schools students he mentored at the Job Shadowing Event. Westin-Southfield Director of Outlets Doug Davis mentored students hoping to pursue a career in the hospitality industry. Southfield High School Senior Aleigha Carter noted that this experience will help her throughout her upcoming journey at Michigan State University. “I learned that it takes a lot to be in this industry,” she said. “There are things in this industry that I’ve never thought about but they matter so much. City Cable 15 and Sydni, a Southfield High School senior, conducted interviews at the Job Shadowing Event. If there’s one thing that every business agreed on, it’s that education is the most important thing for the students. “Education plays a vital role in the growth of your success,” said Pasquali.